I would like to book a test drive for vehicle Toyota Yaris VVT-I ICON PLUS SOLD ! I would like to enquire about the vehicle Toyota Yaris VVT-I ICON PLUS SOLD ! TOO LATE SOLD !! 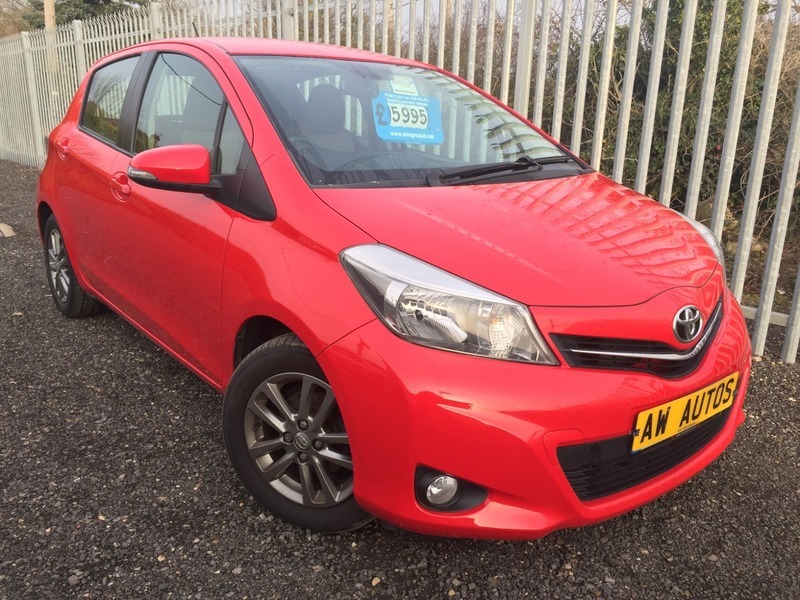 2014/63 Toyota Yaris 1.33 VVT-i Icon Plus 5dr in Chill Red with just 32,000 miles from new. One mature owner from new with full service history. An outstanding little car that has to be seen to be appreciated so please call to book a test drive or for more details 01491 824256...Cruise Control, Automatic Air Conditioning, Rear View Camera, Bluetooth for Hands-Free Calls Front and Rear Electric Windows, Rain Sensing Wipers, Alloy wheels & 2x Keys. Supplied with a new 12 month MOT.